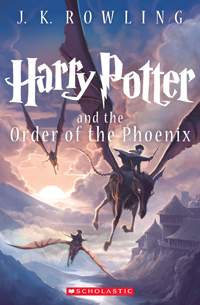 All over the news I have been reminded that fifteen years ago this week Scholastic brought U.S. readers Harry Potter & Company. I very vividly recall my first interactions with Harry & Co. 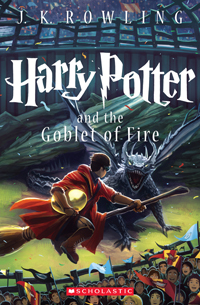 The summer I began teaching sixth grade, Scholastic offered Sorcerer's Stone as their 99 cent Arrow Book Club pick. Based on glowing reviews and good sense, I quickly purchased a class set. That decision made for three amazing years sharing Harry with eager sixth graders. Well before all the hoopla started, I watched kids literally race to my classroom to continue the story, moaning when I made them stop to complete a lesson. That same year my son was a sixth grade student and began his own journey, which we continued together with midnight book and movie releases for years to come. Even my teenagers, fifteen and seventeen, joined the craze. Recently, a former student friended me on Facebook, mentioning her memories of our time together with Harry Potter. She truly is part of a Harry Potter Generation. 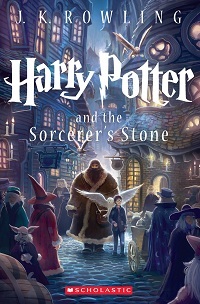 And, thanks to one visionary writer, my son's generation holds the values of friendship, hard work and an understanding of 'true' magic in their souls. 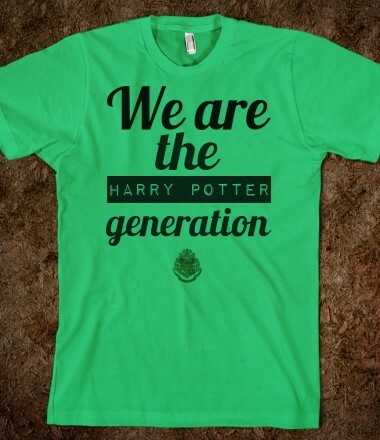 It is now time for a new generation....... If your children, or your students, have not experienced this story, go buy the entire set now! 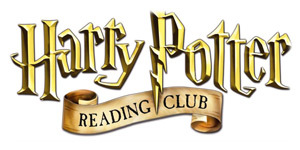 HP Reading Club - awesome site for educators! 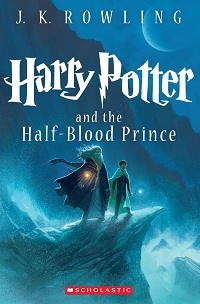 Here is an excerpt of my original Reading Rumpus review of Deathly Hallows, written with more than a tear or two on July 22, 2007: "....... Rowling's themes are there: love can conquer all and kindness and friendship matter........ and that humans are flawed creatures, so multidimensional one can never predict their actions. We can be bad guys and good guys at the same time, the lines are not easily drawn........Say what you will about writing’s superstar, but place her in a fellowship alongside Tolkien; throw her in the wardrobe with C.S. Lewis. 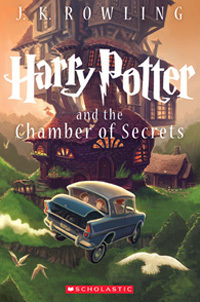 Rowling will live on past the populace mass hysteria. Her aptitude, which should be studied by the most scholarly of writing instructors, lies in her understanding of the human heart. Her magical powers lie in the creation of characters so vivid, we hate to part with them. This is why we’ll re-read her work over and over. We know the plot; we've now seen how it all ends. But, we'll keep reading because to be away from our beloved friends is just too abandoned a place to inhabit. 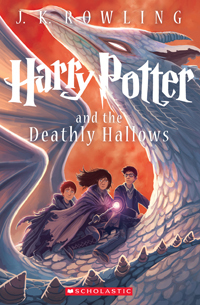 And while we may move on to other fantasy, or never become a fantasy reader at all, we'll always believe that there is a world flanking our own where Harry & Co. dwell." 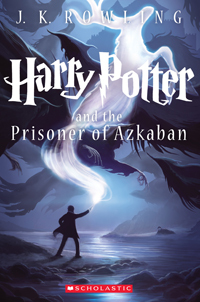 I also rambled on about the first six books as I awaited book seven's release. If you are so inclined to my fangirl ramblings, you can read more HERE. Fifteen years seems like a LONG time, but it went by in a flash. I've raised all four of my girls on Harry Potter, and even though only two of them are HUGE fans, they've all loved the stories. I can't imagine life without Harry.